There’s nothing like adding a terrific twist to the average party. 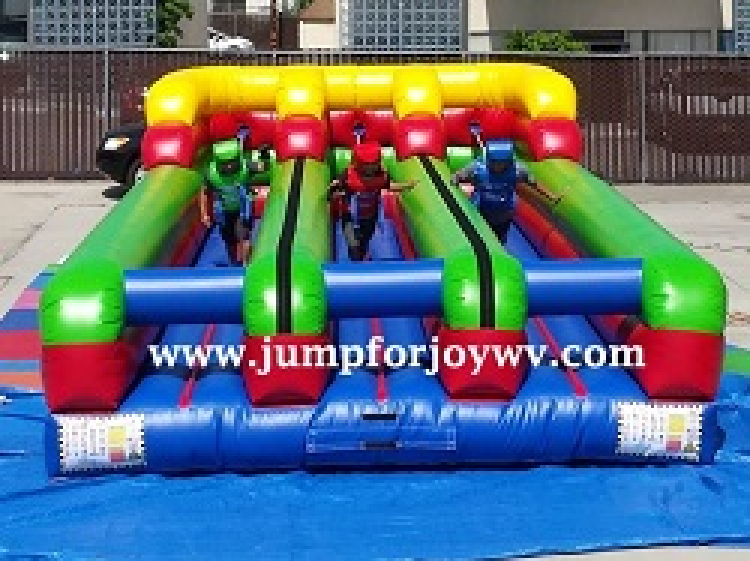 Competitive fun and challenging activity is the 3 Lane Bungee Run. The object of this game is to race your opponents side by side against the pull of the bungee at your back to see who can stick their Velcro baton on the furthest mark of the measuring wall. The one who can withstand the bungee cords pull the longest and the furthest is the winner of the game. 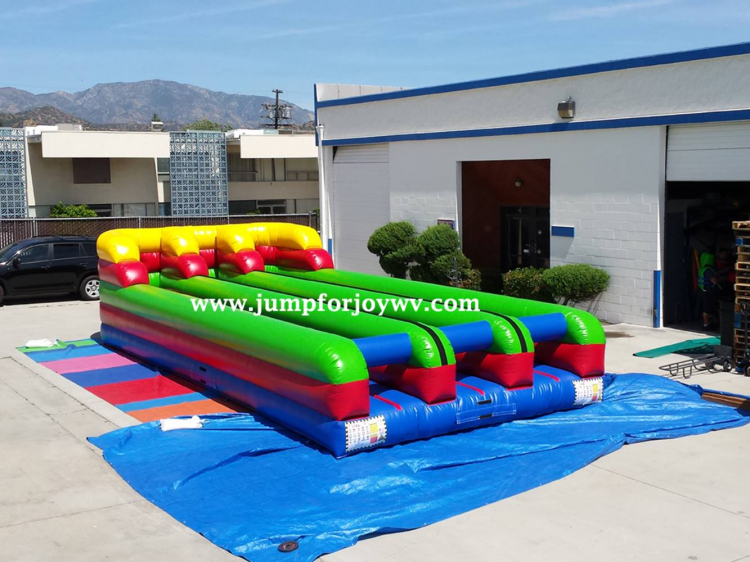 This inflatable obstaclen is guaranteed to make any event spectacular. 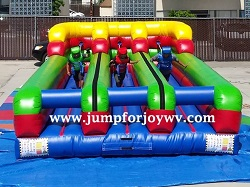 The 3 Lane Bungee Run is not only great entertainment but it is equipped with the latest in safety and durability. 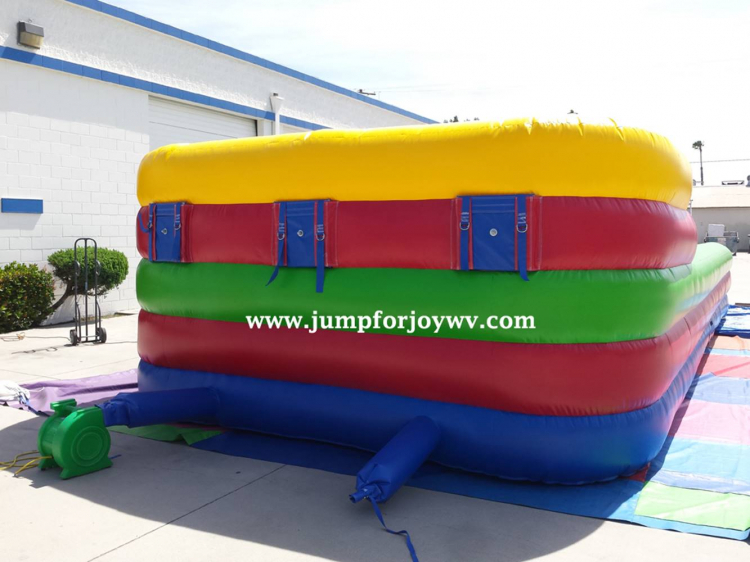 All of our inflatables are Made in USA.